This is the second novel to feature Cab Bolton (after THE BONE HOUSE). Discuss Cab as a character. How is he different from Brian’s other series hero, Jonathan Stride? This is the first of Brian’s books since STRIPPED to be set outside the Midwest. How does the Florida setting — as opposed to the “cold nowhere” of Minnesota — shape the drama of the book? 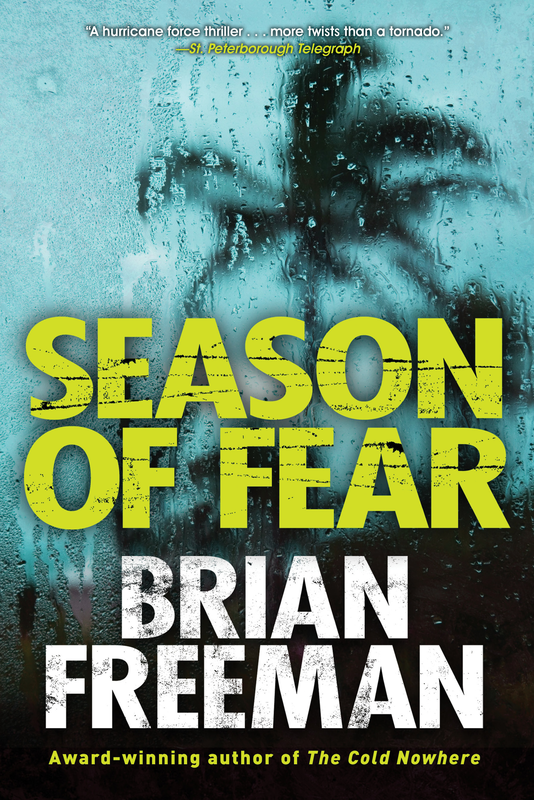 There is more political drama in this book than in other novels from Brian. Did it work for you? Do you think there’s a role for a third party like Common Way in the U.S.? Discuss Cab’s unique relationship with his mother! How about his relationship with Lala? Do you see a future for them? Many readers think Peach Piper is the most interesting character in the book. What was your reaction to Peach? Do you think she’ll stay celibate forever? Did the last line of the book surprise you? Is Cab right to strike out on his own, rather than stay with the police? Why do you think Brian made this choice for Cab? Did you read the first Cab book THE BONE HOUSE? How would you compare the two novels? Do you see a difference in Brian’s style between the Cab novels and the Stride novels? What was Cab’s funniest one-liner in the book for you?